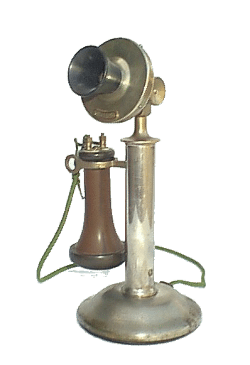 Ready to book a visit or want to know more? We'd love to hear from you! For media inquiries or publicity materials to promote a group tour, please call or e-mail. No GPS? No problem. Select your route below to follow the written directions. Take Manchester Exit 111 (Hwy. 55) to McMinnville. DO NOT turn and go to the McMinnville business district. Instead, keep going straight and follow Hwy. 70S signs toward Sparta. Turn left onto Faulkner Springs Rd. at the FIFTH traffic light (the one AFTER Korner Market). Take Hwy. 27 across the Tennessee River at the Aquarium, then Hwy. 111 past Dunlap. Approximately 10+ miles past the Dunlap turnoff, turn left onto Hwy. 8. Turn right when Hwy. 8 meets Hwy. 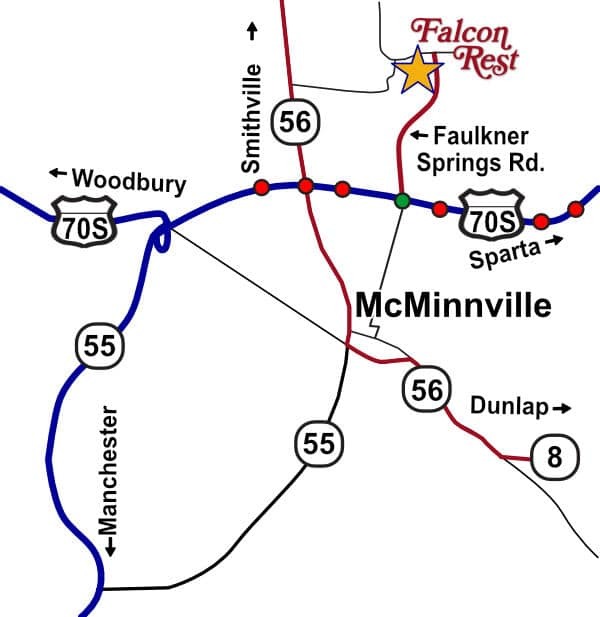 56 on the outskirts of McMinnville, enter downtown on Main Street, take the first right onto Sparta St., first left onto Morford St., and first right onto Spring St.
From I-40 West (from Nashville), take Exit 273 south onto Hwy. 56 through Smithville into McMinnville. Turn left onto the Hwy. 70S Bypass, then left again at the second traffic light onto Faulkner Springs Rd. Go west on I-40 to Crossville Exit 317. Turn left at the end of the ramp; go about 1-1/2 miles and turn right at the traffic light by Walgreens. Stay on this road (Hwy. 70) just through Sparta, then turn left onto Hwy. 111. A couple of miles south of Sparta, take fork toward McMinnville on Hwy. 70S. Stay on the four-lane Hwy. 70S Bypass in McMinnville, and turn right at the fourth traffic light onto Faulkner Springs Rd. If you’d prefer to stay on 4-lane roads all the way from Knoxville, take I-40 west to Cookeville. Exit onto Hwy. 111 toward Sparta. Follow directions above from Sparta. Exit the park at the south entrance onto Hwy. 284. For the quickest route, go straight across Hwy. 111 instead of turning north to Spencer. Hwy. 284 curves north and meets Hwy. 30 west of Spencer. Turn left onto Hwy. 30. Go to the end of Hwy. 30, and turn left where it “y’s” into Hwy. 70S. Go to the fourth traffic light; turn right onto Faulkner Springs Rd. Go through Fayetteville, Tullahoma and Manchester, Tenn. Don’t turn onto I-24. Instead, go straight across the Interstate and follow the directions above from I-24 Exit 111 in Manchester.